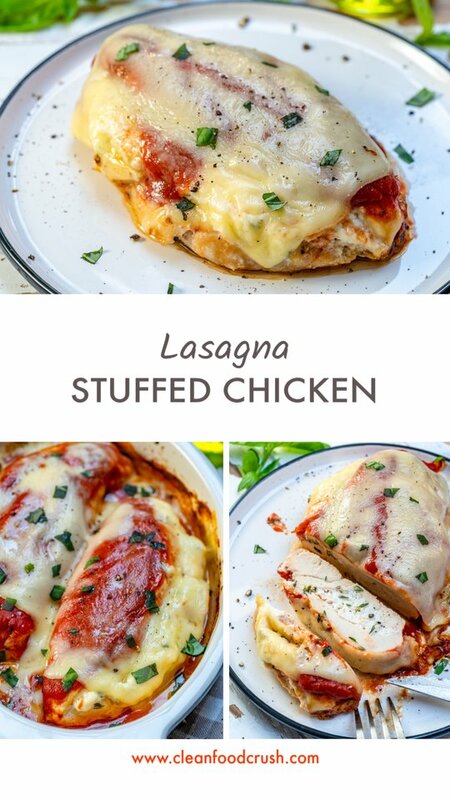 Carb Free Lasagna Stuffed Chicken Breasts for Clean Eating! 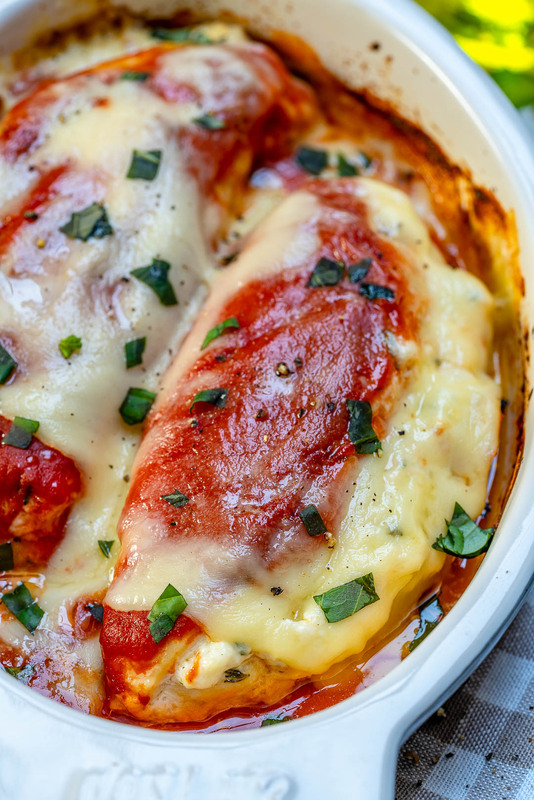 Preheat the oven to 375 degrees f. and spray, or brush a baking dish with cooking oil. 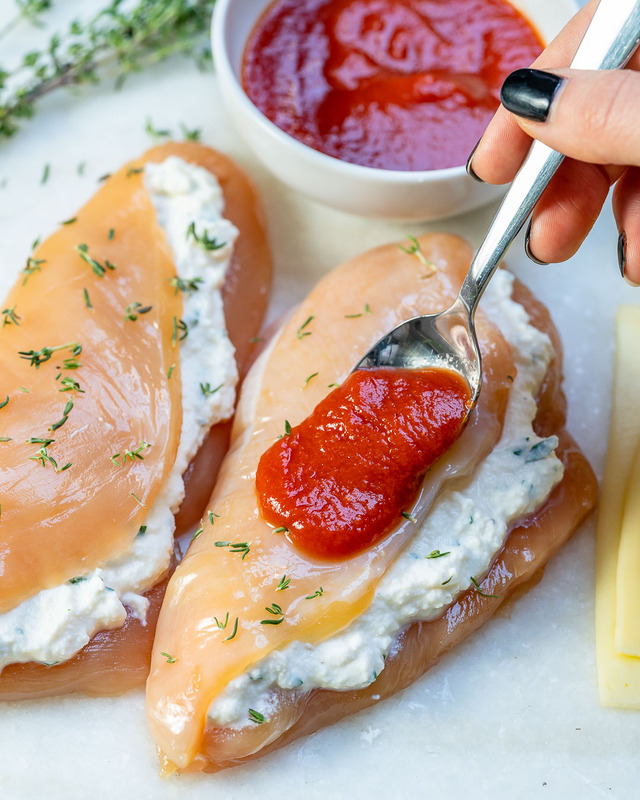 Using a sharp knife cut a deep pocket into the side of each chicken breast. Season with a touch of sea salt, black pepper, oregano, garlic and add a tiny drizzle of olive oil. Using your hands rub the seasonings/oil into the chicken very well. In a small bowl whisk the egg together with ricotta cheese, parmesan, fresh parsley, thyme, 2 Tablespoons of basil, and a pinch of sea salt and pepper. Whisk well to combine mixture. 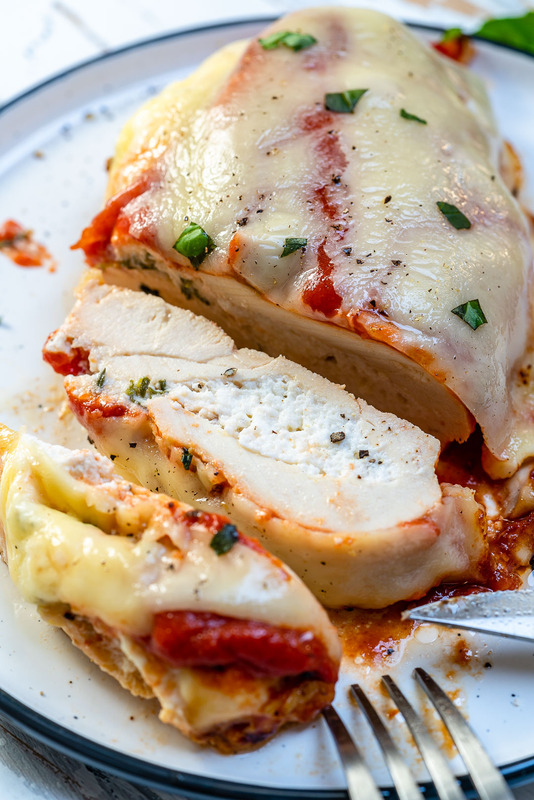 Stuff the ricotta mixture equally into each chicken breast pocket that you created, then gently place the stuffed breasts into the prepared dish. 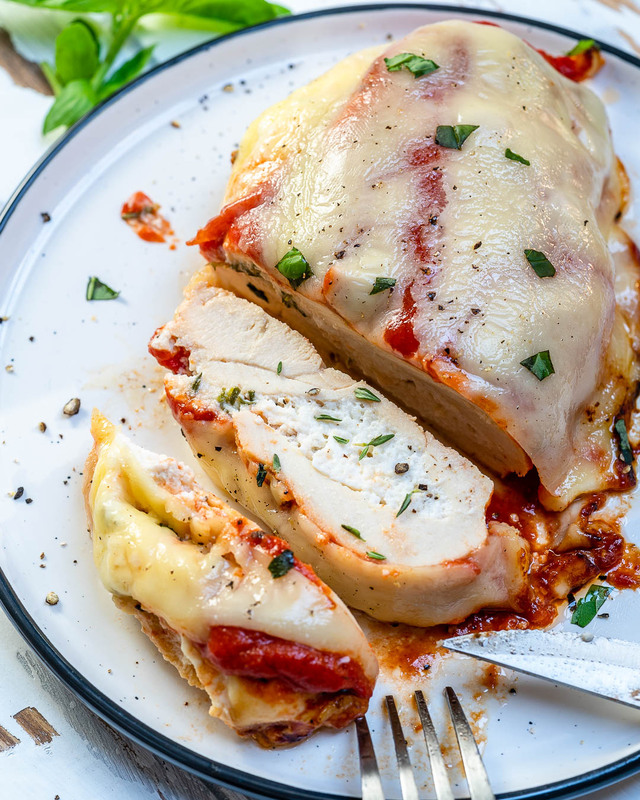 Spoon marinara evenly over the chicken breasts. Cover with a lid, or foil and bake for about 25-30 minutes, or until chicken is cooked through. 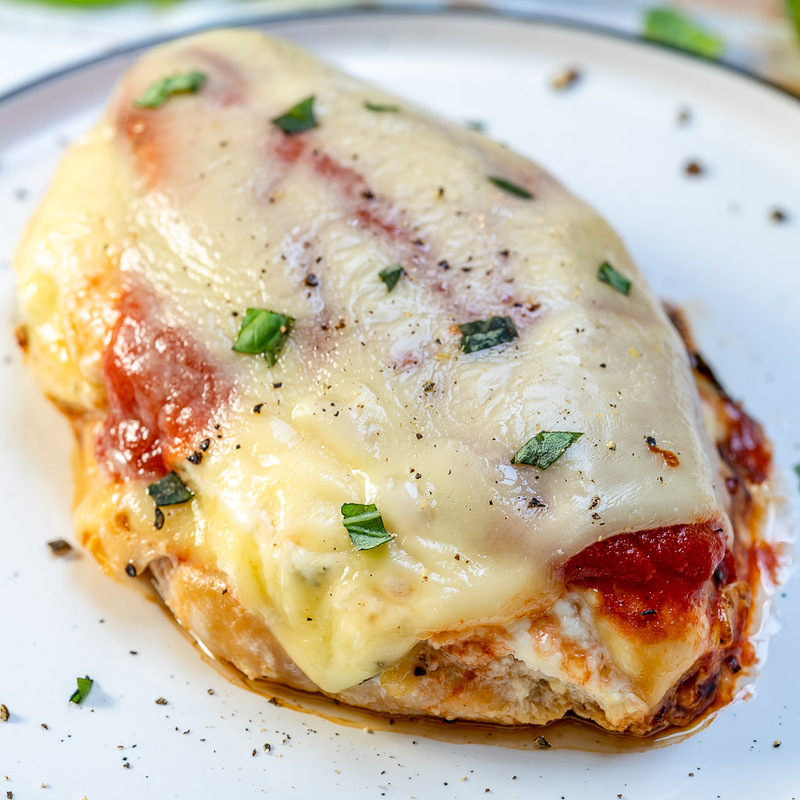 Arrange the mozzarella slices over each chicken breast and bake uncovered for an additional 2 minutes, or until cheese is melty. Sprinkle with fresh chopped basil and enjoy! Preheat the oven to 375 degrees f. and spray, or brush a baking dish with cooking oil. 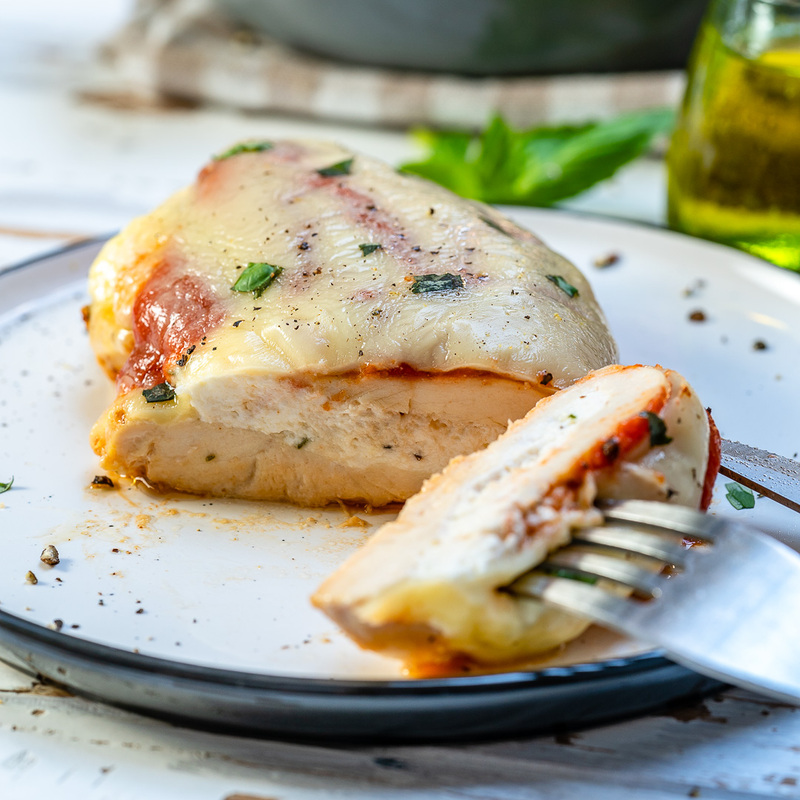 Using a sharp knife cut a deep pocket into the side of each chicken breast. Season with a touch of sea salt, black pepper, oregano, garlic and add a tiny drizzle of olive oil. Using your hands rub the seasonings/oil into the chicken very well. In a small bowl whisk the egg together with ricotta cheese, parmesan, fresh parsley, thyme, 2 Tablespoons of basil, and a pinch of sea salt and pepper. Whisk well to combine mixture. 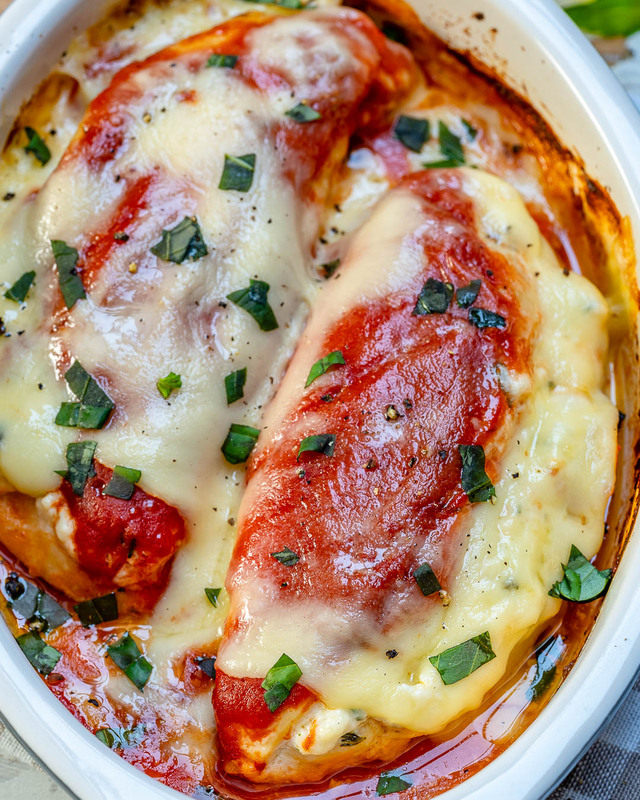 Stuff the ricotta mixture equally into each chicken breast pocket that you created, then gently place the stuffed breasts into the prepared dish. 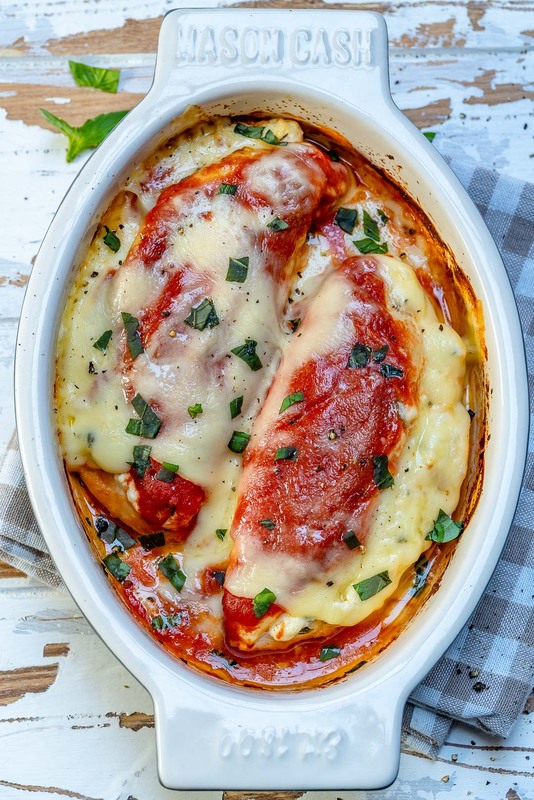 Spoon marinara evenly over the chicken breasts. Cover with a lid, or foil and bake for about 25-30 minutes, or until chicken is cooked through. 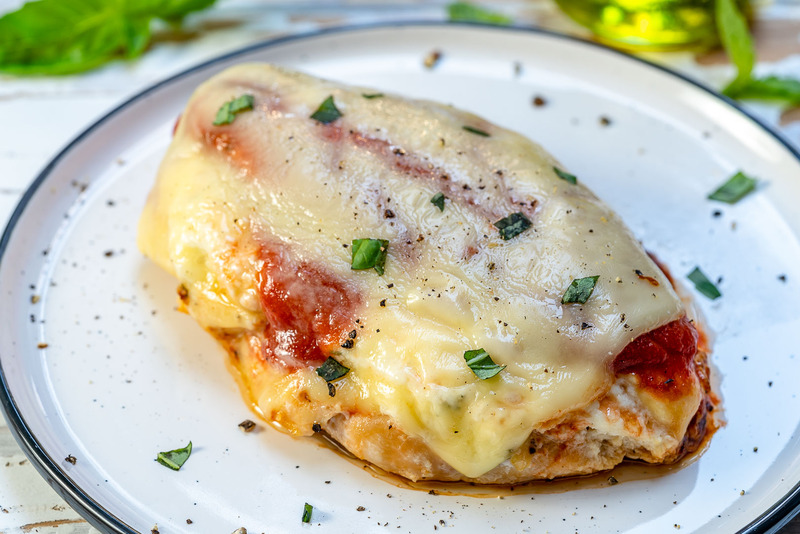 Arrange the mozzarella slices over each chicken breast and bake uncovered for an additional 2 minutes, or until cheese is melty. Sprinkle with fresh chopped basil and enjoy!